An ISIS/Daesh member (Ali Saqr al-Qasem) publicly executed his own mother in Raqqa, Syria after accusing her of “apostasy.” He did so with a bullet to her head, which gets me wondering: What does the Qur’an say about mothers? And how would Prophet Muhammad react to this execution? “And We have enjoined upon man, to his parents, good treatment. 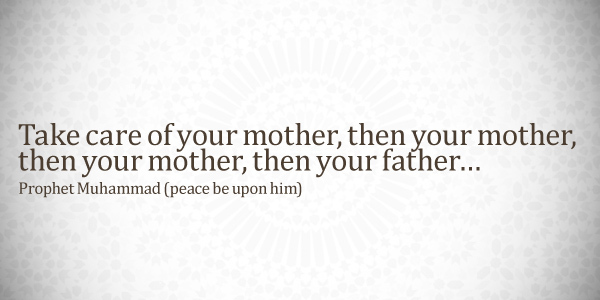 His mother carried him with hardship and gave birth to him with hardship.” (46:15). I wonder, does Dr Considine never feel a little embarrassed about cherry picking the nice sounding bits from the Islamic scriptures and ignoring the nasty ones (which ISIS are only following faithfully). What you don’t seem to understand the Quran was revealed to the prophet Muhammad in sections and it was answers for the Muslims who wasn’t sure about a problem they faced at that time so you pointing verses like that just shows how uneducated you are about the Quran and Isis have killed more Muslims then anyone else and they are the creations of westerns country’s and there actions so rather then blaming Islam maybe you should go better your self with better understanding of other faiths and the actions of your government?? I see no connection between the Koran being produced in sections and my lack of education about it. In fact I think your point is a non sequitur, and one which presumably applies as much to Dr Considine’s selection as my own. ISIS have killed more Muslims than anyone else…so what? They kill Muslims not for being Muslims but because they think they are not Muslims. Killing non-Muslims is okay according to Allah, or at least that is what he says in the Koran. ISIS are merely guilty of making a category error. ISIS are the creation of Western countries? Sure…when did you last hear a Muslim take responsibility for his own actions? That’s why Allah made the CIA and the Jews. No killing Muslims is not condoned by Islam or Allah or God! In fact if you get a decent copy of teh Quran in English translation by Ahmadhi Muslims you would realize your misquotes. The Holy Quran also says ” there is no compulsion in religion” and Prophet Muhammed forgave all his enemies upon re entering Makkah. please do look that up. It may be enlightening.